This page allows you reserve transportation to Key West. 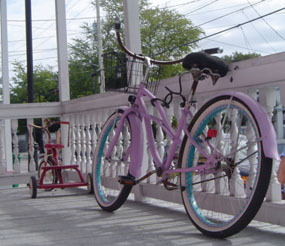 Ride across 34 islands and 42 bridges to get to Key West where you'll have 4 hours to see the sights. Stay in Key West as long as you'd like, we'll bring you back to Miami when you're ready. To and from Miami Airport - Departs 6 times a day. Take a shuttle from Lauderdale to the Keys - Departs 6 times a day. Search Google for "Key West Transportation"